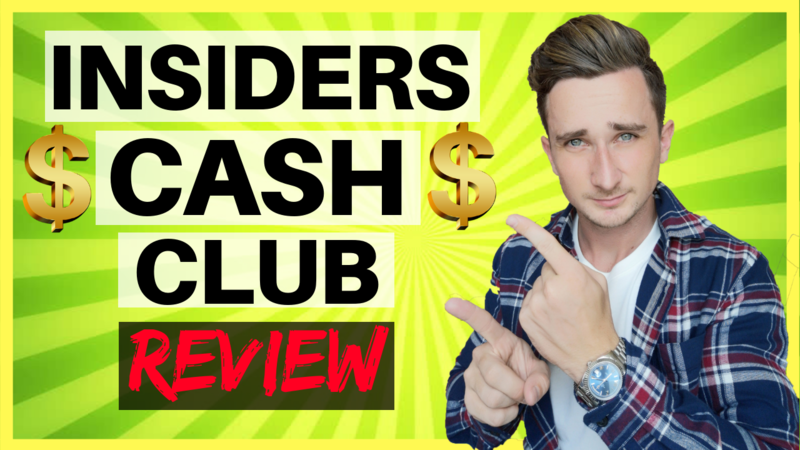 Insiders Cash Club Review - Scam or Legit Online Money Maker? 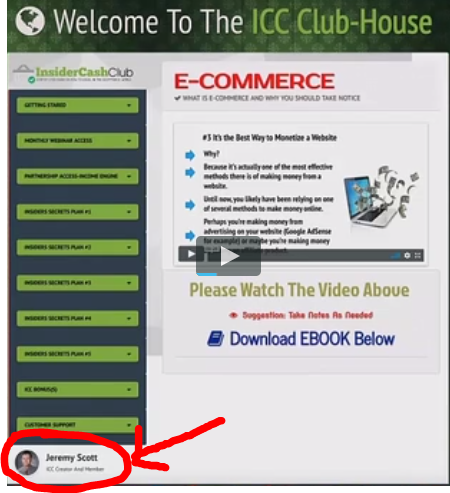 If you're reading this Insiders Cash Club Review then you probably want to find out the real truth about this website. Is it a scam, or is it a legit online money making opportunity? 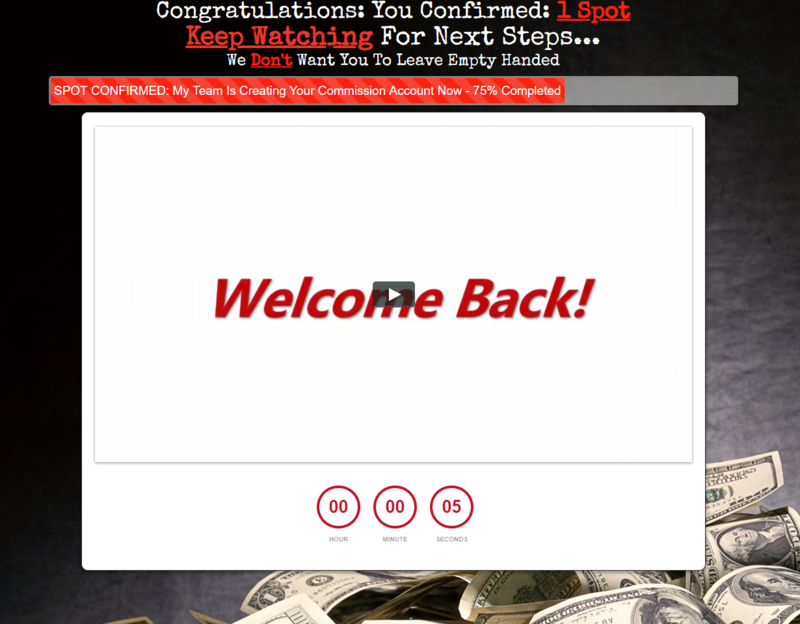 They claim that you can earn up to $5000 per week using their system. I'm going to if this is true or not. Insiders Cash Club claim that you can earn $5000 per week using their system that requires no experience at all. And they even claim that it's free (but it's not). There's no real sales video on this page, it's just a news report talking about how people are making crazy amounts of money while working from home. They're trying to make out like the news report is about Insiders Cash Club. And they're trying to back that up by having that “As Seen On ABC, FOX News & CNBC” on the page too. However, these are all just misleading tricks. The news report isn't about this system. It's just about how people are making money at home. Not once is Insiders Cash Club mentioned. And they also have never been on those news channels that they claim they've been seen on. Their whole website is so far just full of lies. So far, not so good for Insiders Cash Club. Here you'll be able to watch their sales video. This is where a BUNCH of red flags appear. Let's talk about those. 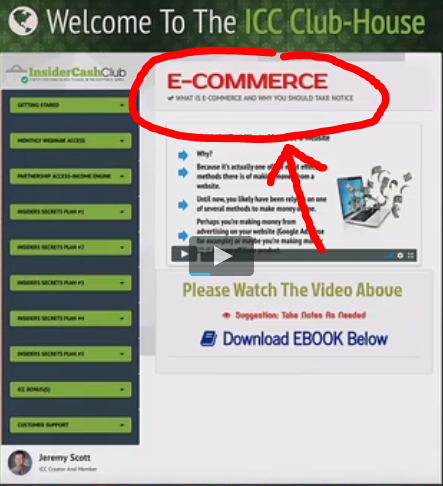 This is a screenshot from the sales video. 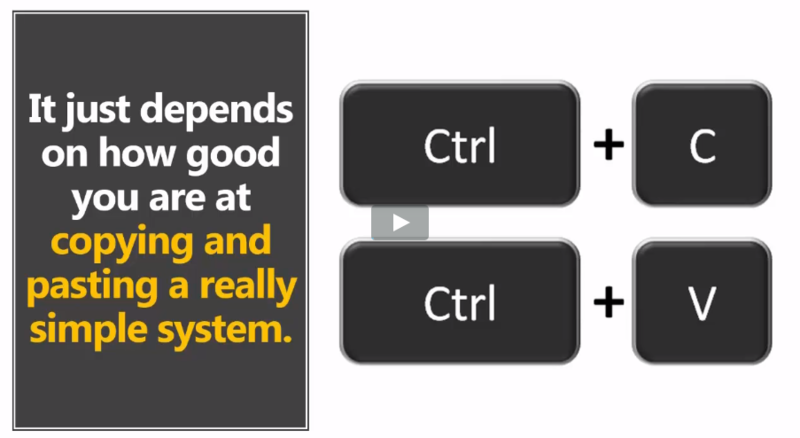 They claim that you can literally just “copy and paste a simple system”. This is just total BS. There is no way that you can just copy and paste something and then magically start earning up to $5000 per week. The fact that they're claiming that is a big red flag. I know what they're doing. They're just preying on the newbies that find their website. They're hoping you're going to believe that it's going to be that easy and you'll just hand over your money. But trust me, it's not that easy. If you want to magically earn $5000 per week, you're in the wrong place. If you really want to earn money like this, you're going to actually have to work for it. If you watch their sales video you'll hear that the founder is apparently “Jeremy Scott”. The image above is the closest we get to seeing who Jeremy is. We only get to see this tiny little image of his within the sales video. He never actually reveals himself. However, I'm thinking that little picture is just a stock image that they've purchased. I can't do a Google search of the image unfortunately because it's just too small. But looking at it, it just looks like a stock image. And the fact that Jeremy never actually shows himself anywhere on their website is very suspicious. It remind me of every other scam that I've uncovered on this blog. Just like Daily Cash Siphon, and other scams, the real founder is hiding behind a made up character. They do this because they don't want angry customers knowing who they really are after they've been scammed. What Is The Actual System? So with this, they make it sound like they're just going to be teaching you how to make money online by doing things such as transcribing and completing surveys (none of which you could earn anywhere near $5000 a week with). But then, if you actually look inside their system, it looks like it's all about E-commerce. Now, if it's e-commerce they're actually talking about, then yes, $5000 a week would be possible. However, it wouldn't be possible straight away, and somebody with no experience using computers would have a very hard time. E-commerce is actually a very difficult business to get into and takes a long time and a lot of hard work to get everything set up. If you really want to get involved in e-commerce then I have a video on my YouTube channel that will show you a great training platform for this. Click here to watch that video. The Verdict – Is Insiders Cash Club a Scam? I don't like calling a system an outright scam. Because usually they do actually give you something. You're not handing over your money and getting nothing in return. However, with that said, I still DO NOT recommend investing any of your time or money into Insiders Cash Club. I've shown you numerous red flags that should be enough to see this website and system can't be trusted. But it is up to you. If you want to trust them, by all means go for it. It's your time and money that will be wasted. Thanks for reading my Insiders Cash Club Review.